Natick, MA Saxophone Lessons Near Me | Fun Classes. Top Teachers. Check out some of our most popular teachers near Natick, MA including Boston, Cambridge, Brookline, Somerville and Lexington. Can't find a teacher in Natick, MA? and I can't wait for his next phase..."
ther to master not only the instrument but the whole philosophy and theory around music as well..Simply put her teaching style is that of attending a music college but much much less spent and more one on one instruction"
ly four years while we pursued similar degrees at New Mexico State University. She consistently brought a level of maturity and preparedness beyond her age to our rehearsals and practices. If I was limited to only one word to describe her, it would be "professional"." e basics and taught at my speed. I am looking forward to our continued lessons. Could not have asked for a better instructor." "Excellent instructor. My son enjoyed it thoroughly and looks forward to continued lessons." t sax lesson, having a productive lesson plan prepared in advance, a genuine polite welcome to her immaculate and impressive music studio and her unquestionable passion to teach with commitment and patience. I have tried several teachers before, but pretty much ended up fending for myself. 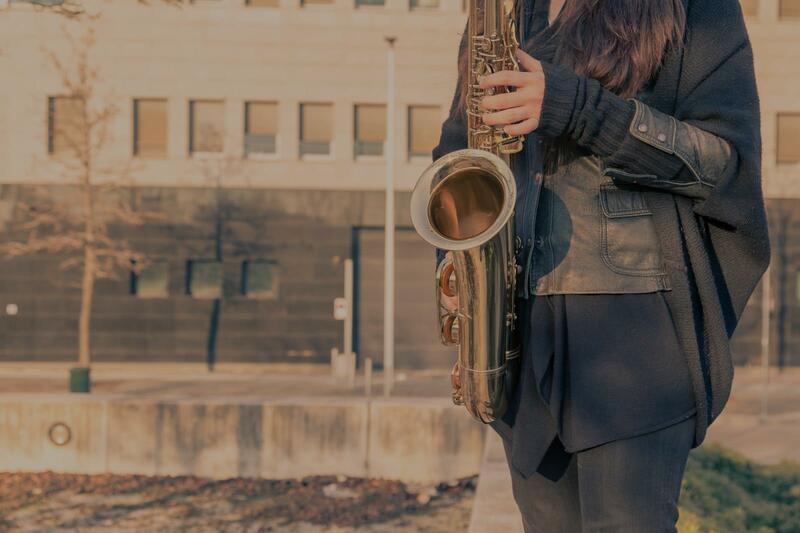 Nicole has certainly used her knowledge and experience (and patience) to convince me that I will reach my goal to become an accomplished saxophone player if I am willing to put in the time and practice. I am convinced that Nicole is one of the best teachers that I will ever study under. I would gladly refer her to any family member, friend or coworker. Nicole is a "class act" to say the least and definitely deserves top rating!!!"